George Petrou was born in Greece. He studied piano at the Athens Conservatoire, the Royal College and the Royal Academy of Music in London. He enjoyed a successful career as a concert pianist but gradually turned to conducting and quickly gained attention, establishing a flourishing international career. He has particular interest in music of the 18 c. but is equally at home in the classical and the romantic repertoire. 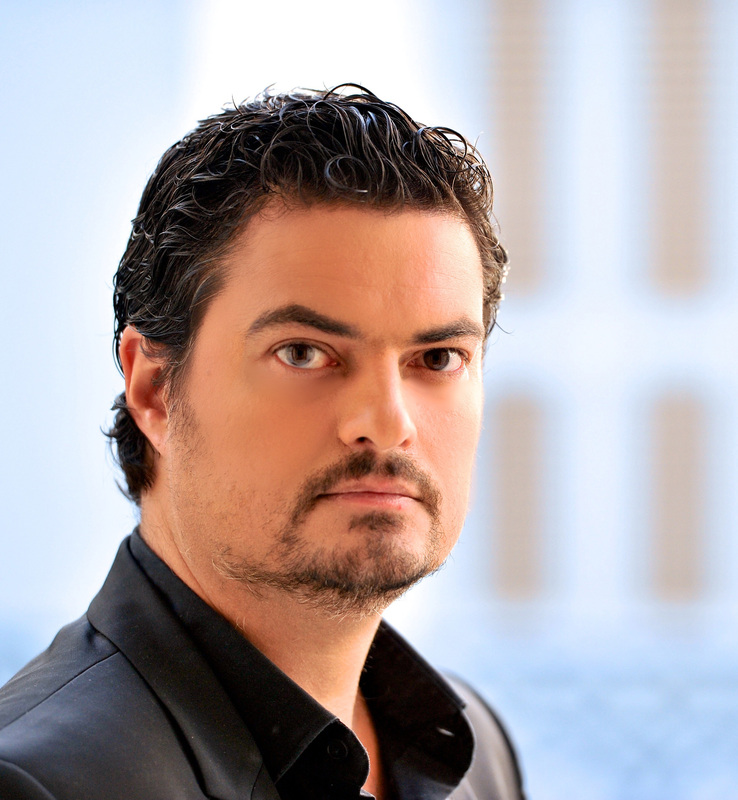 George Petrou is the artistic director of the renowned Athens based orchestra Armonia Atenea, with which he tours and records extensively, performing both on period or modern instruments. 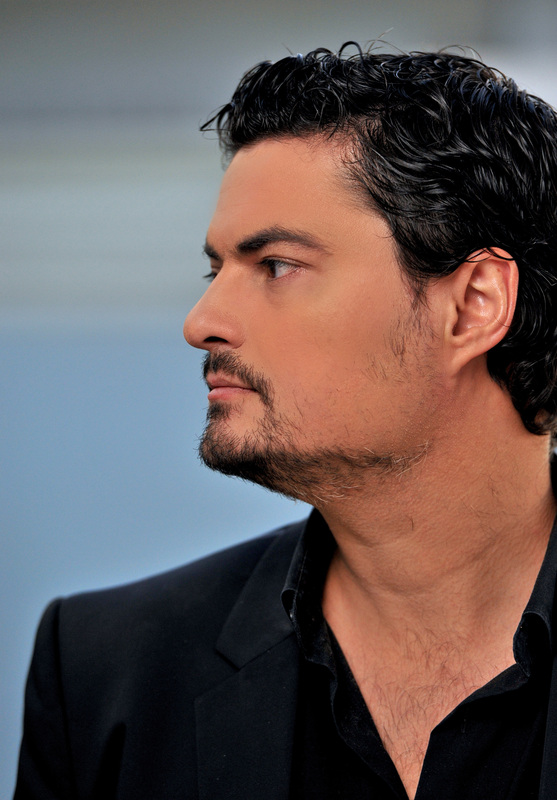 Aside from conducting a wide range of symphonic music he has gained a reputation as an operatic conductor, with emphasis on the historically informed practices, not only in baroque music but also in later repertoire. Additionally he has developed a vivid interest in staging musical theater productions, and has recently signed several successful productions. 2016/17 seasons highlights include West side Story at the Megaron (in his own staging), Siroe by Hasse at Opera Lausanne, and Staatstheater Wiesbaden, Vivaldi's Orlando Finto Pazzo at the Korean National opera (Seoul), Gluck's Orfeo at theater St Gallen, La gazza ladra at Teatro Petruzzelli, Handel's Arminio in Staatstheater Karlsruhe and Krakow and concerts at Theater Champs-Elysées, a return at the Salzburg spring Festival and the International Handel Festival in Halle, appearances at the Festival de Beaune, Theater an der Wien, Opera Rara among others. Εngagements for 2015-16 included Rossini’s Cenerentola at Teatro Verdi, Trieste, Cherubini's Medea at Opera de Nice, Handel's Scipione at the International Handel Festspiel, Halle (Bad Lauchstadt), Cole Porter's Kiss me Kate (in his own stage direction) at the Megaron, Athens, Rufus Wainright's Primadonna, in a symphonic/visual version at the Athens Festival, Magic Flute at the Greek National Opera, Philip Glass's In The Penal Colony at the Onassis Cultural center. Other recent Opera engagements include Handel’s Serse at the Royal Swedish Opera, Rossini’s Semiramide in Opera de Nice, Monteverdi’s Ritorno d’ Ulisse coupled with Nono’s Non hai camin, hai che caminar at the Staatstheater Darmstadt, Hasse’s Siroe at the Opera Royale de Versailles and the Athens festival, Purcell’s King Arthur as a co-production with la Monnaie in Brussels and also Amsterdam, Brugge, Antwerp, Breda, Mozart’s Mitridate at Nationaltheater Mannheim, Handel’s Semele at Opera de Nice, Rossini’s Cenerentola at the Greek National Opera, Handel’s Alessandro at Opéra Royal de Versailles, Megaron of Athens, International Handel Festspiel in Halle, Staatstheater Wiesbaden, Opéra Vichy, Theater an der Wien, Salle Pleyel Paris and Concertgebouw Amsterdam, Mayr’s Ginevra Di Scozia at Teatro Donizetti in Bergamo and Ingolstadt with the Muenchner Rundfunkorchester, Vivaldi’s Il Farnace at Opéra National du Rhin, Strasbourg and at Opéra Royal de Versailles, Handel’s Semele at Stadttheater Bern, Rossini’s Il Barbiere Di Siviglia, Verdi’s Nabucco, Haydn’s L’Isola Disabitata. He is one of the foremost pioneers for the revival of early 20th century Greek operetta conducting new productions of Theophrastos Sakellaridis’ operettas Pik Nik, Halima and The Godson in Athens. 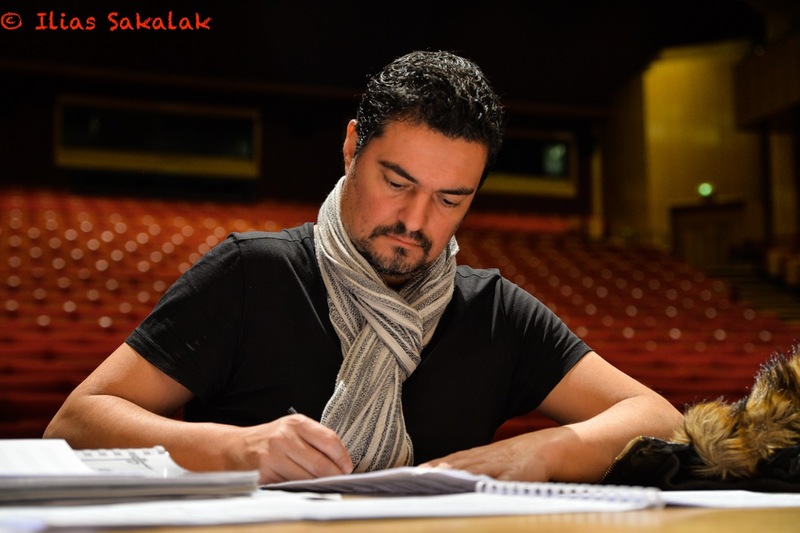 Several of George Petrou’s biggest successes have been in operas by Gluck. He has conducted Alceste (at the Megaron of Athens with Anna Caterina Antonacci in the title role and at Oper Leipzig in a new production by P. Konwitzny), Orphee at the Greek National Opera, Iphigénie en Aulide at the newly built Onassis Cultural center and the 1st modern revival of Il trionfo di Clelia at the Megaron, to great acclaim. Earlier assignments include Donizetti’s Anna Bolena as well as Handel’s Theodora in Athens, Lully’s Phaeton and A. Scarlatti’s Il Tigrane at the Saarländisches Staatstheater Saarbrücken, Handel’s Oreste, Arianna in Creta, Tamerlano, Giulio Cesare. In concert he regularly collaborates with renowned orchestras such as the Gewandhaus, the Muenchner Rundfunkorchester, the Concerto Koln, the Pomo d'oro, the B'Rock, the Berner Symphonieorchester, the Athens State Orchestra, the Bratislava Philharmonic, the Musica Viva (Moscow), the New Russia Symphony orchestra. George Petrou has a very busy recording schedule. Upcoming releases include Handel's Ottone for Decca. Recent releases include Franco Fagioli's Rossini album for Deutsche Gramophon and a long list of recordings for DECCA including Hasse’s Siroe, a Countertenor Gala and a collection of baroque arias named Baroque Divas all with Armonia Atenea. Other multiple prizewinning DECCA releases include Beethoven’s Creatures of Prometheus, Gluck’s tenor arias with Daniel Behle, Hasse’s Rokoko (a collection of arias and concertos with M. E. Cencic) and Handel’s Alessandro. Additionaly, Mayr’s operas Ginevra and Lodoiska for OEHMS Classics (with the Muenchner Rundfunkorchester). He has also recorded Handel’s Oreste, Arianna in Creta, Alessandro Severo, Tamerlano and Giulio Cesare for MDG. All of them have received with the highest critical acclaim from the international press (Preis der Deutschen Schallplattenkritik, Choc-Monde de la Musique, Gramophone-Editor’s Choice, Diapason d’Or, BBC Mag/Recording of the Month, CD of the week in The Sunday Times, Recording of the month in Musicweb, Crescendo Bestenliste Platz 1, etc.). Tamerlano received the prestigious ECHO Klassik 2008, and Alessandro the Recording of the Year at the International Opera Awards, and the latter was voted by the viewers of Mezzo as Opera of the Year 2013 receiving more than 250,000 votes. George Petrou was recently honored as an Associate of the Royal Academy of Music, London (ARAM) and was awarded the title of "Chevalier de l'ordre des Arts et des Lettres" from the French government. "Nos plus sincères lauriers, c'est sur le front de George Petrou qu'on les dépose. Dès les premières mesures de l'Ouverture, cette baguette d'une vigueur sans pareille galvanise un Philharmonique de Nice qui se plie avec loyauté à cette discipline de fer. Le voir diriger est un spectacle en soi, tant son geste déborde de force physique sans esbroufe. Sous cette battue sanguine, le discours respire et s'anime d'une palpitation permanente, qui jamais ne laisse retomber la tension." Let’s be clear: this was a performance of the highest order. 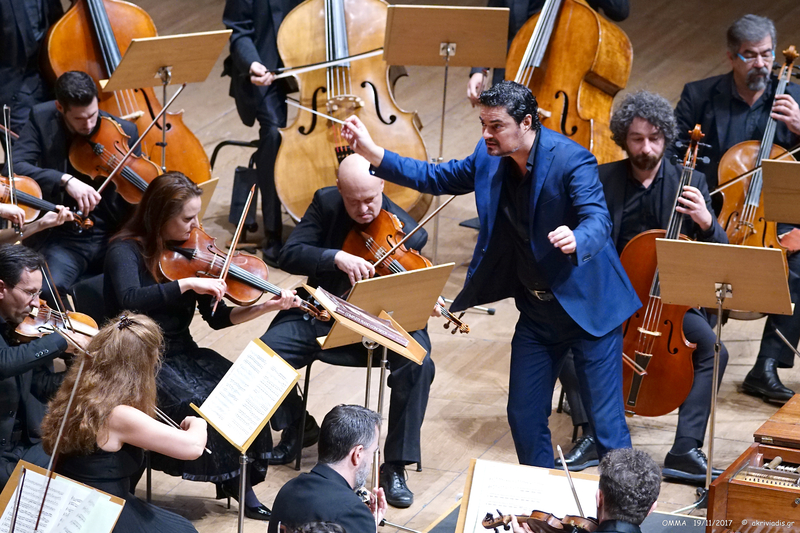 From the first five notes of the overture, the sixteen-member orchestra Armonia Aténéa led by George Petrou ravished the audience of the Salle Pleyel with Handel’s full splendour. 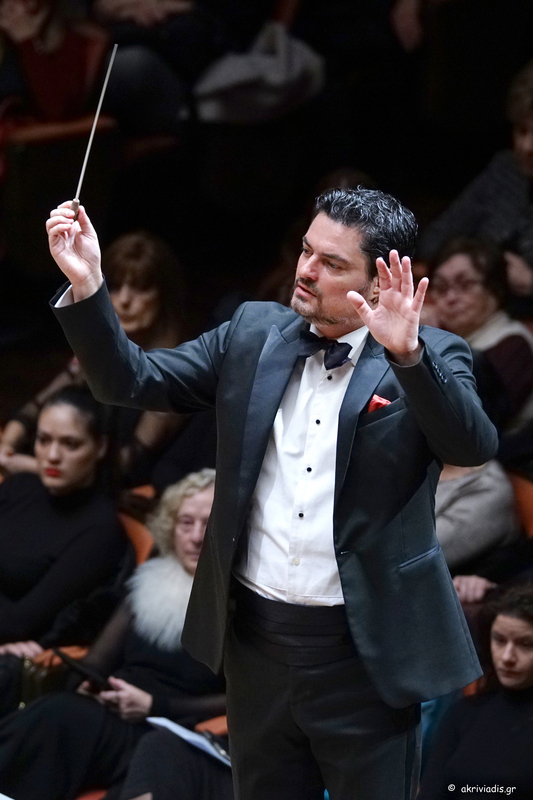 One of the most remarkable emerging talents of the new generation of Baroque conductors, the energetic yet sensible George Petrou simply knew how to create instant Handelian magic." "Petrou’s direction throughout manifested a consistently innate musical sense: his expressive conducting and ability to phrase the music into ideal shape drew music-making of vigour and vitality. Petrou is a great, recent phenomenon on the Baroque scene, and he will surely achieve much more that is notable." "...le jeune chef grec George Petrou reprend le flambeau avec une rigueur vigoureuse, une inventivité aussi qui n'ont d'égal que son sens profond de l'unité et de la progression du drame..."
"Sul podio il direttore George Petrou fa un ottimo Rossini. L’Orchestra del Verdi, ridotta nelle dimensioni, restituisce un suono leggero e dettagliatissimo ma mai flebile. Il direttore impone una narrazione tesa e brillante, implacabile nell’incedere ritmico senza mai irrigidirsi ed estremamente varia nelle dinamiche." "Am Pult stand der griechische Dirigent George Petrou. Sein schlichter, nüchterner Dirigierstil schuf ein klares, transparentes Klangbild, das vom Ensemble perfekt umgesetzt wurde und die Dramatik der Partitur herausarbeitete. Ob zarte, lyrische Stellen oder dramatisch aufgeladene Passagen, das Instrumentalensemble Armonia Atenea traf stets die richtige Atmosphäre." "...l’orchestra del Petruzzelli diretta magistralmente da George Petrou, attentissimo negli attacchi dati ai cantanti e asciutto nell’interpretare i brani più celebri della partitura, in particolare la marcia al supplizio, qui resa da un’agogica più incalzante del solito. La sua direzione concentratissima ha infatti permesso che le tre ore e mezza di spettacolo non abbiano avuto neppure un calo di tensione." "Er hat diese Musik des jugendlichen Heißsporns Mozart mit einem Drive spielen lassen, mit so viel Schwung und Delikatesse, dass es einen förmlich mitriss. Nun kommt er aus der Alten Musik – er hat ja selbst ein Ensemble mit historischen Instrumenten, hat bereits preisgekrönte Aufnahmen damit gemacht. Und er hat schon viele große Orchester dirigiert. Aber wie er diesen jungen Mozart heute Abend zum Besten gab, das hat alle Erwartungen übertroffen. Die Musiker des Mannheimer Nationaltheaters spielten auf modernen Instrumenten, aber Petrou hat sie zu hörbar historisch informiertem, zu immer wieder stürmischem Spiel animiert, er hat sie übrigens übrigens vom Cembalo aus sehr fantasievoll begleitet. Man war sprachlos. Und so mancher dürfte sich in die Musik dieses Stücks verliebt haben heute Abend."